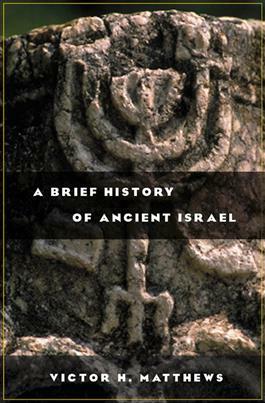 Grounded in the latest archeological developments, Victor Matthews's A Brief History of Ancient Israel presents a concise history of Israel covering the ancestral period, conquest and settlement, the monarchy, and both the exilic and postexilic periods. Using supplemental figures and insets, the author concentrates on providing a cogent and condensed discussion of events. He examines historical geography, archaeological data, and, where relevant, comparative cultural materials from other ancient Near Eastern civilizations. With an accessible yet high-quality introduction, A Brief History of Ancient Israel will be of immense value to both students of the Old Testament and the scholars who teach them. From the Journal of the American Oriental Society(July-September 2003, pg. 704)"[A]t the level of detail, the information is often out of focus or downright incorrect, as onesuspects at once from a glance at theanachronistic menorah on the front cover. ""This textbook will only be useful in a carefullyrevised edition."